Best Days to Fly !! 1. Keep calm and carry-on. If you remember your passport, credit cards, and medications you might need when you’re running around before a flight, you’re halfway to golden. Most everything else can be purchased later if left behind. But don’t you dare check a bag on a weekend getaway! Even if you’re not flying, you don’t want to be weighed down. That said, quality luggage is one of the most important investments a traveler can make. Luxury hotel inspector Tiffany Dowd and Erik Wilkinson, a director of sales for Eton of Sweden, both swear by Tumi. The Quintessential Tote is Dowd’s favorite because it’s “stylish and durable,” while Wilkinson prefers the International Carry-On, a bag he reports holds a surprisingly large amount of clothes. Dowd’s also a fan of the brand’s luggage recovery program which identifies your bag with a unique registration number. 2. Don’t underestimate the power of a plastic bag. I put everything from chargers to jewelry in plastic baggies. I also always keep a plastic bag filled with essential toiletries — like contact solution, lotion, and toothpaste — at the ready en route. Bigger plastic bags double as laundry hampers on short trips, but for those of you who want to class it up a bit, Wilkinson recommends trying Flight 001 Spacepaks. “You fold everything in on one side of the bag on your outbound journey and then your dirty clothes go on the other side on your return,” he said. 3. Accessories are your best friend. On a weekend trip, neutral color palates — tans, blacks, whites, grays — can maximize your options while keeping your carry-on, well, carry-able. Then, all you need is a fabulous selection of accessories to brighten and vary your look. “Great accessories are my secret,” Dowd said. “You can add a pop of color to a simple black dress with some vibrant Prada pumps, then change up your look by adding a long Chanel necklace and some high-heeled boots the next night.” I also love adding to my collection when I’m away: Picking up a scarf from a London shop or a bracelet from a market in Dubai remind me of my travels long after I’ve returned home. 4. Wear the same outfit on both flights. Picking out your “plane uniform” is important business, and can help you conserve valuable carry-on space. For instance, always wear your heaviest items, like winter coats and big boots, on the plane. Travelers often end up in quite a different clime when they disembark at their destination, and planes themselves can be chilly, so layering your clothing is always a good way to go. 6. Be prepared. Part of my power-packing strategy for weekend trips is invisible to the eye. When you only have a few days, you want to spend them wisely, so I do a lot of research about my destination ahead of time. I save tweets, articles, quotes, friends’ advice, and more in documents and spreadsheets, then use SugarSync to link my laptop to my phone so it’s all at my fingertips. Even if you’re a see-where-the-day-takes-you traveler, it always helps to have some idea of what you want to do, especially when it comes to securing reservations at that fabulous new restaurant or tickets to that gonna-sell-out show. 7. Keep it light. This rule is both literal and figurative. In addition to not weighing myself down with checked luggage, I make a habit of leaving books behind on short getaways. Instead, I bring my iPad and buy magazines at the airport for take-off and landing. Dowd, who gave the best advice of all — “Leave any stress you may have behind!” — reminded me that weekend getaways are about enjoying life and getting some rest. You love to sample foods around the world -- but while your palate may be game, your stomach isn't always up to the challenge. To prevent spending half your trip running to the bathroom, it's important to find a middle ground between sampling local cuisines and treating your belly well. First, understand that the food you eat at home isn't necessarily "safer" than food abroad; it's often simply that your body isn't accustomed to it. One important difference between home-grown and foreign foods is the use of more "natural" fertilizers abroad, which can carry bacteria that could cause intestinal distress -- also known as traveler's tummy. A few of the most common foodborne illnesses include salmonellosis (caused by salmonella bacteria), E. coli infection and norovirus. Outbreaks of these and other foodborne illnesses are monitored by the World Health Organization (WHO) and the Centers for Disease Control and Prevention (CDC); it's worth checking out the websites of these organizations before you travel to see if any of the places you're visiting are currently affected. These sites will also inform you about any ongoing threats you might face where you're going, such as typhoid or hepatitis. Your best defense against foodborne illnesses is not to panic, but to use common sense -- and with that in mind, we've compiled these tips for eating well and eating safely no matter where you travel. What (Not) to Eat and Drink The most common source of dietary problems while traveling is drinking water, including ice. See Drinking Water Safety for more info. Cold meat platters, cheese, buffet foods and unsealed mayonnaise are often home to rampant bacteria. Seafood dishes are notorious for causing intestinal problems, as fish accumulate contaminants from a wide variety of sources. Smaller fish tend to be safer. 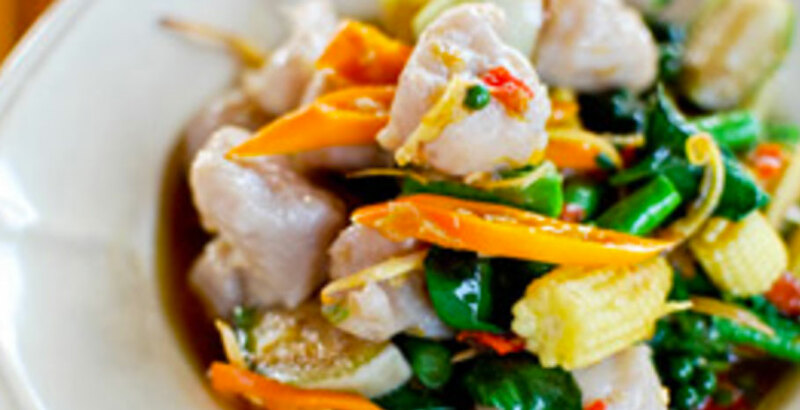 Fish organs and shellfish (such as clams, mussels and oysters) are usually best avoided. Steer clear of unpasteurized dairy products, including cheese and yogurt. Check labels for evidence of pasteurization; most canned milk is safe. Nuts and other shelled foods are usually a good choice. Coffee and tea are generally harmless, but it's best to take your hot drinks black, without potentially contaminated milk. Cream from sealed containers, if pasteurized, is usually safe. safe produceThe traveler's mantra, attributed to colonial explorers, goes something like this: "Cook it, wash it, peel it or forget it." Freshly cooked foods are less likely to acquire airborne contaminants, and raw foods such as salads, and fruits and vegetables without peels, are often likely culprits for trouble. Fruits and vegetables you can peel yourself are usually safe. Condiments such as mayonnaise, ketchup and salad dressings are safest in sealed packages. Order portions "well done" or at least "medium well," and eat them only if served hot. Be careful especially of runny eggs and sandwiches with lots of raw vegetables. Beer and wine in other countries may contain more or less alcohol content than in the United States. Pay attention to the effects of all drinks. Moderation is the safest course of action. Always pack a hat. In the winter, a knit hat will keep you warm and take up little room. 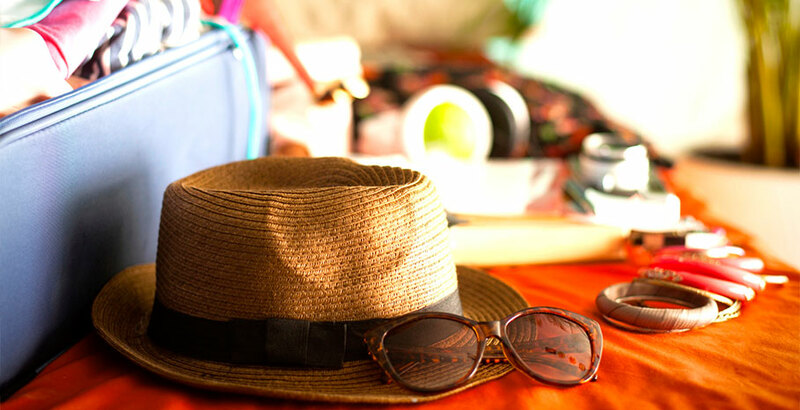 In the summer, a brimmed hat will keep the sun off your face. In either case, it will save you when your straightening iron doesn’t work in the trapezoidal electrical socket you found in your hotel room. Packing for a trip is infinitely easier when you’ve just done laundry. – Bring a travel first aid kit with the following: ibuprofen (or other pain killer), decongestant, NyQuil, bandages, hydrocortizone cream. You will not believe how often it will come in handy. – Going somewhere with clean drinking water? Pack a reusable water bottle that clips on to your bag. Bonus points if it’s collapsible. In an age where the bottled stuff costs $7, you’ll save a ton, too. – You will never wear that second dressy outfit, so stop packing it. Most trips, you won’t even wear the first dressy outfit (but you should still pack that one). – Bags with wheels are amazing. That backpack might seem more agile, but have you ever seen someone trek across an airport with one of those on their back? Nimble does not come to mind. Sciatica, yes. But not nimble. – Don’t forget your camera charger. You will go through that battery in a second, esp. when your friends insist on flipping through all of the photos that you just took in order to relive something that happened 5 minutes ago. – Don’t pack clothes that require ironing. Hell, don’t buy clothes that require ironing. – If you are staying with someone, get them a present. Either bring it from home, or take them out during the trip, or send them something afterwards. Do it not only because you will likely be invited back, but because your mom will be so proud. – Never pack something that you haven’t worn before. Otherwise you’ll find your new shoes too uncomfortable, your new jacket too flimsy, your new underwear too wedgie-prone. – Buy that delightfully grotesque souvenir, even if you don’t know who to give it to. Odds are, you will think of someone for whom it would be perfect. Worst-case scenario, you’ll keep it for yourself. Which is a really great worst-case scenario. Prepaid gasoline charges appeal to our desire for simplicity while traveling, and also to concerns about being late for flights, as every few minutes added to the trip to the airport create more risk for arriving too late to board. As airport security has added considerable time to this process, rental companies have come up with new options for car refueling, and are giving them the hard sell at the rental desk. Unless you are completely sure you will return the tank empty, or you have a pre-dawn flight that would make it worth the money not to have to refuel yourself, don't fall for this one. Even the option where they charge you only for fuel you actually use is tipped aggressively in the rental agency's favor because the cost of having them refuel your car is always higher than the cost of doing it yourself. 2. Failing to check on your way out for a place to refuel on your way back. The best time to find a place to refuel your vehicle is immediately after you pick it up. As you are driving away from the airport or rental agency, take note of the local gas stations, and make a plan to return to the most easily accessible or best-priced of them at the end of your rental. 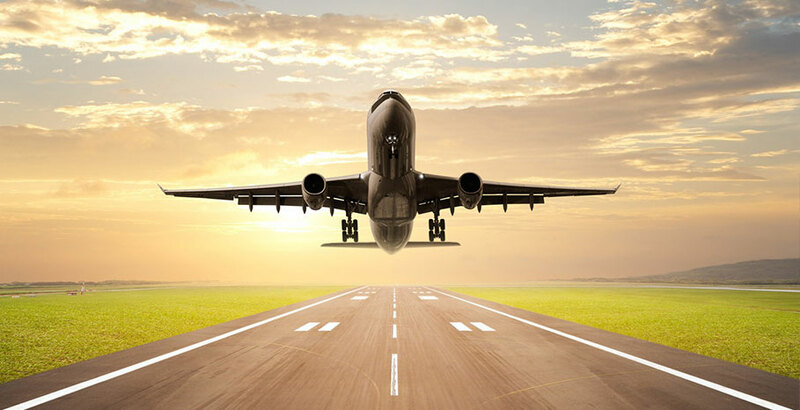 The neighborhoods around airports can be confusing and unfamiliar, so you don't want to be driving in circles looking for a gas station as your flight time approaches. Figure this out on your way out, when you are not pressed for time. 3. Purchasing insurance, reason No. 1: Your own auto insurance covers you. Before accepting this one at face value, it should be emphasized that auto insurance policies can vary considerably, so you will want to check with your own insurer directly. If you have the minimum legally permissible coverage, it may not include coverage for rental cars -- whereas if you have what companies call "full coverage," it almost certainly does. Call or email your insurer to find out. In general, the rule of thumb is that the coverage you have for your main vehicle extends to your rental vehicle, because the rental is considered a replacement vehicle under the policy. So if you have comprehensive coverage on your own car, your policy would also give you comprehensive coverage for the rental vehicle. 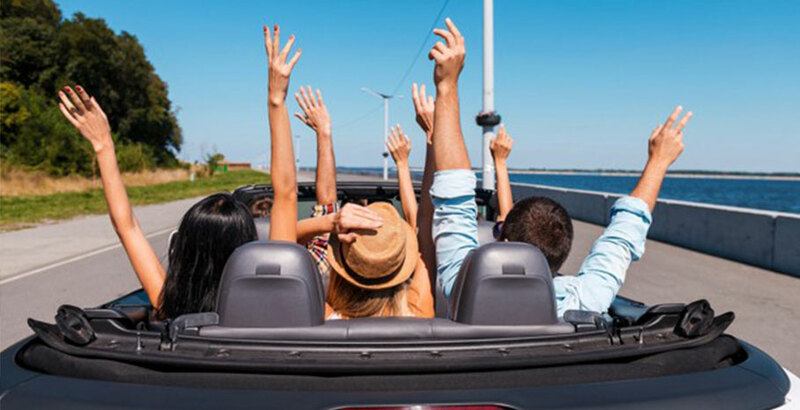 Most policies will cover you even if the rental car is a "better" or more valuable car than your own car, so you don't have to worry if you get an upgrade or rent a much better car than the one you insure at home. Note that an accident in a rental car will typically raise your rates if you have to make a claim on your own insurance policy. 4. Purchasing insurance, reason No. 2: Your credit card covers the rest. Anything your own car insurance does not cover, it is likely that your credit card will. In some cases the credit card coverage is as good as or better than your auto insurance; in others it is intended to be secondary insurance to help cover anything your auto insurance does not. Of course, you will need to pay for your car rental using that card; just having a qualifying credit card does not give you any protection. 5. Ignoring one possible caveat: "loss of use" insurance. When a rental car is damaged, "loss of use" charges are applied to cover the potential revenue lost when the vehicle is off the road for repairs. This is typically charged in the amount of a day's rental for that vehicle, and most auto insurance companies do not cover this fee. Many credit cards do, however; American Express, MasterCard and Visa all offer "loss of use" coverage with rentals paid for with most of their cards. 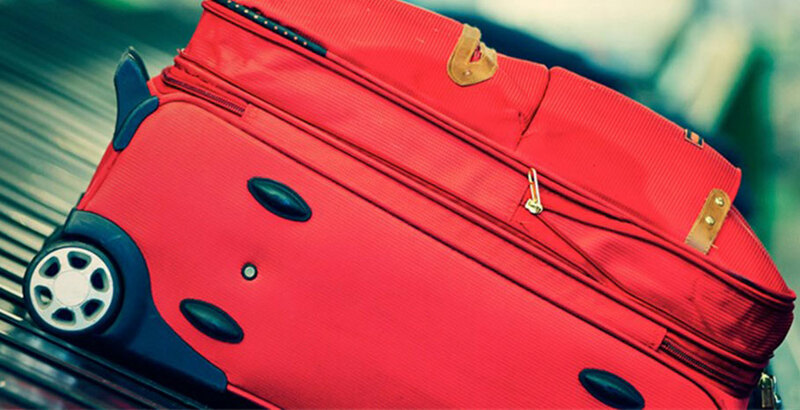 If the airline loses your bags, make sure you get a written claim for damages. This may require a different form than the original "missing luggage" form. This can be done at the airport or by mail. The maximum an airline pays on lost bags and their contents is currently limited to $3,500 per passenger on U.S. domestic flights, and a varying rate per passenger for checked baggage on international flights based on the Warsaw Convention or the Montreal Convention. In the United States, if you paid a checked baggage fee for your lost bag, the airline must refund your fee. Check your carrier's website for specifics. You may need to produce receipts to prove the value of items you had in your suitcase. If you have them, include copies in any documentation you send to the airline. (Keep in mind that you will be reimbursed for the depreciated value of your items -- so the airline won't give you the full $1,000 you paid for that suit you purchased two years ago.) You can purchase "excess valuation" protection from your airline if your checked baggage is worth more than these limits (but before doing so, make sure the items aren't already covered by your homeowner's or travel insurance policy). 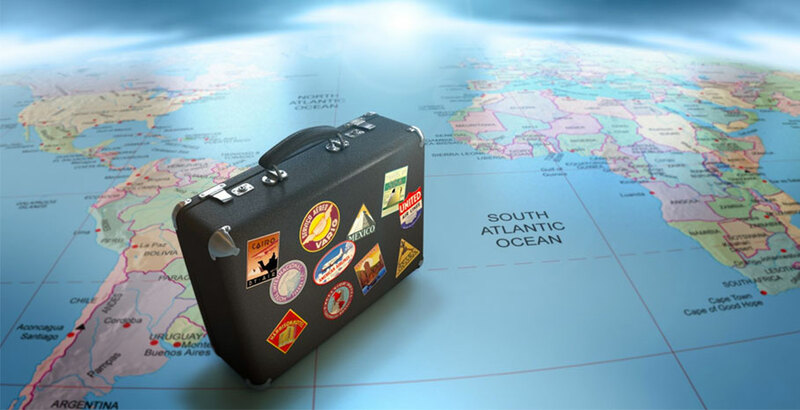 Some credit card companies and travel agencies also offer optional or automatic supplemental baggage coverage. The airlines typically have a long list of items for which they will not be held responsible; these include jewelry, money, heirlooms and other valuables. These sorts of items should always be left at home or packed in your carry-on bag. Head directly to the baggage carousel when you get off your flight to minimize the potential time for your bag to be stolen. Many airlines scan bags when they're loaded into the baggage claim area and keep records, especially at larger airports. If your bag goes missing after you've left the baggage claim area, your claim is no longer with the airline, but with the police. Your homeowner's insurance may cover a stolen suitcase; if it doesn't, consider purchasing travel insurance. Once you've gotten your bags off the carousel, immediately check them for damage or other signs of tampering or mishandling. Report any damage before leaving the airport; airline customer service agents will often want to inspect the bag. Keep in mind that most airlines won't cover minor wear and tear. You will most likely need to produce a receipt for any repairs, or be required to use airline-sanctioned luggage repair vendors. Ask the baggage claim attendant for specific information. You don't want to find out that you have paid for a repair that isn't covered. The Best Days to Fly! Winter and Low Season: Speaking of seasonality, here's a hard, fast and simple rule: the best days to fly are low-season, shoulder-season or non-holiday travel dates; this will vary based on your destination, largely because of weather. While summer is the popular tourism season for an abundance of vacation spots, winter is a great time to seek out rock-bottom airfares. Look for amazingly cheap tickets to places that draw big crowds in summer, like Europe, Canada and most U.S. destinations (except ski towns, Florida and Hawaii). Excluding spring break and Thanksgiving, spring and autumn are also excellent occasions to find low-priced shoulder-season fares to these destinations.